.Welcome to the Inaugural GT-300 Championship Series. This championship will be contested on Forza Motorsport 7 on X Box One and will consist of SIX rounds. Before you decide to enter the series, please take the time to read the rules & regulations very carefully. By registering for the series, you agree to the rules and regulations as written in this thread. TORA reserves the right to alter the rules & regulations as necessary, for the purpose of fairness and clarity in the competition. 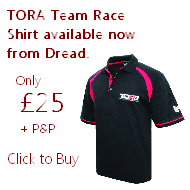 1.1 Motor racing, as defined by TORA, is a non contact sport. It is understandable that on occasion some contact may occur as a consequence of incidents caused by either party; for instance "lag". At TORA lag is defined as sudden high internet latency or ping causing visual inconsistencies between players. 1.3 TORA expects every competitor who partakes in our championships to behave in an appropriate and respectable manner. Insulting comments or behaviour towards fellow competitors, race stewards, lobby hosts and staff is unacceptable and will be dealt with severely by TORA Staff. Respectable on-track etiquette is expected of all competitors. 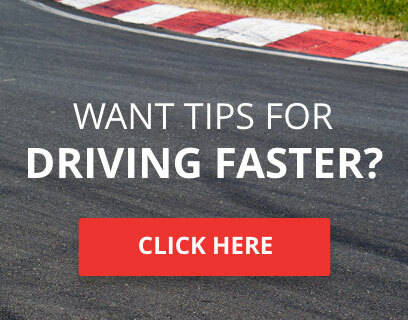 This includes on-track battles, track limits, dirty driving etc. 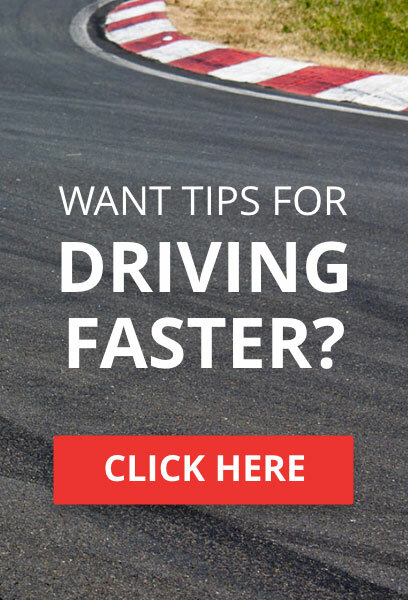 1.4 The track limits are determined by the solid white lines either side of the track, or for lack thereof, the edge of the tarmac (or other racing surface). At all times, two wheels must remain on this part of the circuit, unless of an occurrence where it is near to impossible to keep two wheels on the track, such as avoiding a collision. During a race meeting, each time the track limits are not adhered to, a warning will be given. Each driver are allowed five warnings of all four wheels leaving the track via the inside of a corner, at any part of the circuit. If a sixth and subsequent "corner cutting" occurrence happens within a race meeting, then that driver will lose a position for each corner cut. Again, if a corner is cut to avoid a collision, this would not be given a warning. This will be a championship fought by each driver for themselves. The points at the end of this series will be their final points total and will result in their position in the standings at the end of the series. There IS ONE dropped round for this championship. This will be a championship fought by teams of THREE drivers. The points at the end of this series will be their final points total and will result in their position in the standings at the end of the series. In the event that a team has more than two drivers, the two highest points gained by the team will be recorded toward the team championship. There ARE NO dropped rounds for this championship. 2.2.1 Team Entrant Drivers MUST select the SAME car. This will be a championship fought by drivers who are not registered with a team. The points at the end of this series will be their final points total and will result in their position in the standings at the end of the series. There ARE NO dropped rounds for this championship. The dropped round will be the driver's lowest score. This includes scores of 0 pts as we understand that, on occasion, real life may not permit drivers to attend races. 4.1 Car Changes. ONE car change allowed per season, can be done at any time BEFORE Round 5. 5.1 All drivers who register for this series ARE AUTOMATICALLY Signed In for each round after registration. There is NO separate Sign In form for this series. You will receive invites 15-20 minutes prior to race time unless you specifically post otherwise on the forums. 5.2 Registrations close 2 Hours before the meeting starts. Drivers will not be permitted to race in that meeting if they attempt to Register after this time. 5.2 The series organizer reserves the right to permit or deny specific drivers after the time stated in 5.2 depending on circumstances. 6.1 The race may be split into multiple lobbies, named A-Z, depending on the amount of drivers who have Registered. Each lobby will be hosted by chosen members of the Marshals or Staff. 6.2 Marshals who have Registered to the race may be expected to host a lobby if no other hosts are available. 6.3 For each lobby, a specific Marshal or Staff member will be given "Lobby Marshal" status, whether or not they are hosting the lobby (if none of the aforementioned members are available, the lobby host will be given the status). They will be responsible for collecting times, race positions, reading the start grid and rules, and deciding whether or not a race restart is required. 7.1 The fastest clean lap time from a driver, as denoted by the game, will be recorded for qualification. 7.2. Qualifying sessions will consist of SIX laps total; 1 warm-up lap, FIVE timed laps, racing to the end of session. 7.3 The Lobby Marshal will input the times into the relevant document, or pass on the information to someone who can. 8.1 Please check the season calendar for track confirmation. 8.2.1 Race 1 will be a Sprint Race, with the grid set via Qualifying Time. There is no mandatory pit stop in Race 1. 8.2.2 Race 2 will be the Feature Race, with a 50% "Inverted" Grid. For example, if there are 16 cars in lobby, Race 1 winner will start in P8, and P8 Finisher will start in P1. 8.3.1 Towards the end of the warm up lap, the lobby host will request drivers to form up in 2x2 formation, and continue at 60mph/100kph. EXTREME CARE MUST BE TAKEN. 8.3.2 The driver in last place must confirm to lobby host once all cars are in position. 8.3.3 The rolling grid will approach the Start/Finish line at 60mph/100kph in 2x2 formation. 8.3.4 Each row of 2 cars must try to maintain approximately 100ft / 30m distance from the (pair of) cars ahead before they start racing. 8.3.5 As each row of 2 cars passes the Start/Finish line, they accelerate to race speed, and begin racing. 8.4.1 The grid is set manually by the Lobby Marshal in the pre-race lobby. 8.4.2 Drivers proceed around the circuit in single file. Tyre warming is permitted but brake testing is NOT. 8.4.4 Drivers will begin to form up into the correct formation towards the end of the lap as stated by the Lobby Marshal. 9.2 Drivers are permitted to pit at their own accord to refuel and change tyres, or if they have damage to their car or wish to retire. 7.6.1 There are generally no designated ‘safety car’ vehicles utilised in our championships, unless otherwise specified, due to the limited nature of online race lobbies. However, TORA does operate general safety car regulations which provide a similar outcome, with the lead vehicle acting as a safety car in the lobby to slow the cars to a safe speed whilst any obstruction is cleared from the circuit and allowing affected competitors to repair any damage and catch up with the rest of the field (also referred to as VSC). 7.6.2 The Safety Car will only be deployed if an incident or incidents occur between three or more competitors that severely impairs both competitors’ race. Only a driver involved in the incident may request the safety car, and make the request to the Lobby Host who makes the decision for the safety car period to be used. 7.6.3 The Safety Car may not be requested during the final TWO laps of a race. 7.6.4 In the event of a safety car period being called, the lead car takes the role of the Safety Car/Pace Car. The Safety Car must not exceed 80mph (unless otherwise stated) and the pack must form in current race position in single file. 7.6.5 Drivers involved in the incident should form at the back of the pack, in order of relative position before the incident. Competitors must keep a sensible distance during the Safety Car Period. Brake testing during the Safety Car period will not be tolerated and will lead to penalties, either race meeting points or championship points. 7.6.6 Warming of tyres is permitted but must be undertaken in a safe manner with due consideration given to other competitors both in front and behind. 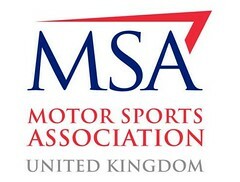 7.6.7 Competitors who leave the track by their own volition during the Safety Car period may be passed by the rest of the pack and the competitor will form at the back of the field. 7.6.8 Drivers not involved in the incident may pit during a Safety Car Period, but will resume the race at the back of the field. If the grid has not formed by the time the lead car reaches the pit lane entrance, the safety car may continue for another lap. It is each driver’s duty to ensure the safety of their fellow competitors. 14.1 The host or Lobby Marshal will invite each driver to the lobby they will be Qualifying or Racing in. 14.2 They will send each driver one invite to the lobby. If the driver cannot join, the host or Lobby Marshal will send a maximum of two extra invites before the meeting is due to start. 14.3 If the driver cannot join the Qualifying session in time, they will start at the back of the grid in the race. 14.4 If the driver cannot join the race session, they will score 0 points for that race. Sometimes a meeting may have to be postponed. The meeting may be cancelled, or pushed back on the calendar. The entirety of this rule is at the discretion of the series organizer.